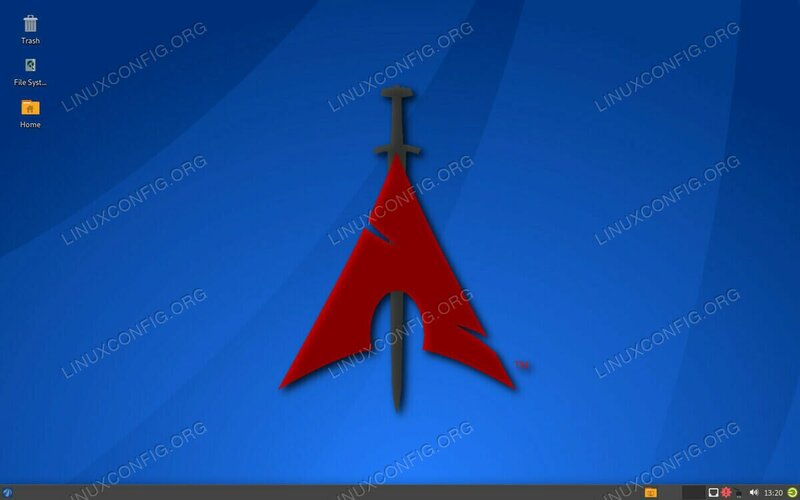 BlackArch is a penetration testing distribution, similar to Kali Linux, but it’s built on top of Arch Linux. In reality, BlackArch is really a pre-configured Arch installation with an extra repository full of security tools. 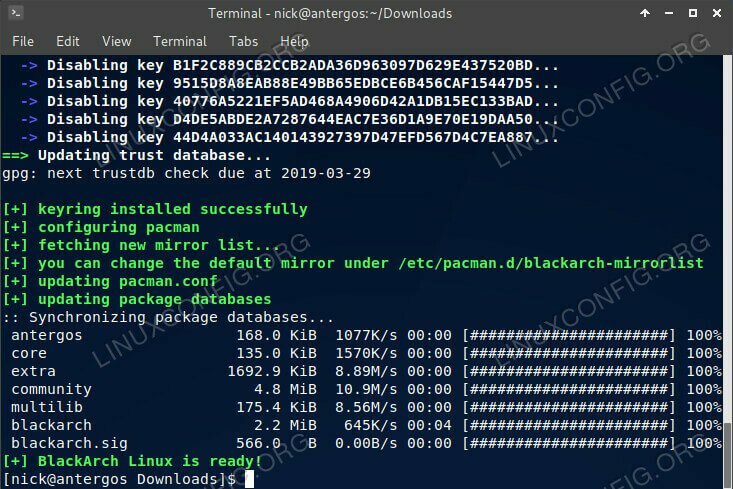 As a result, you can add the BlackArch repository to a regular install of Arch and gain access to all the same tools. The BlackArch developers actually intended for their repository to be used this way. It’s all very flexible. They’ve actually provided a convenient setup script that you can run to install the BlackArch repo on your system. 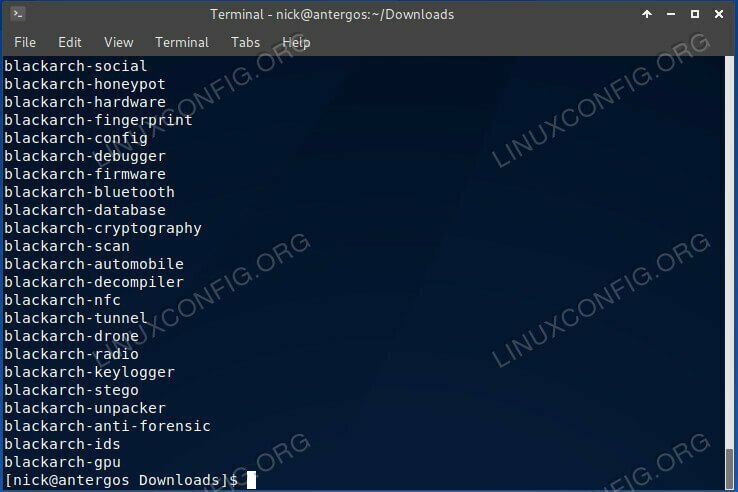 Start by downloading the script with cURL. If you don’t already have cURL, install that too. 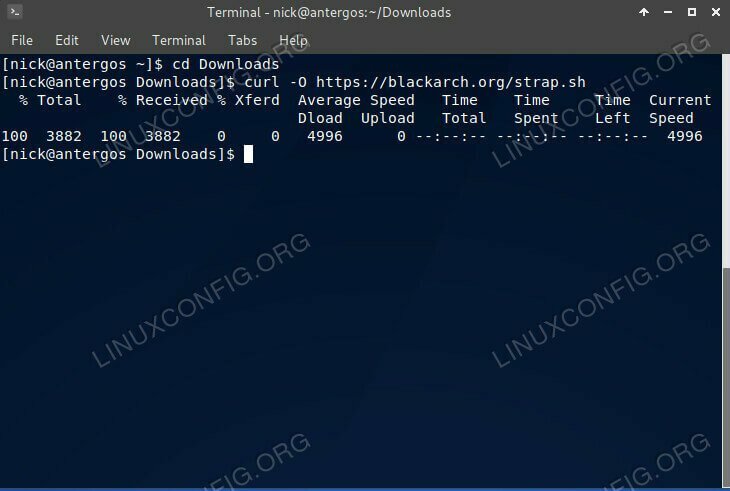 Download the BlackArch Install Script. It should only take a couple of seconds, if that, to download. 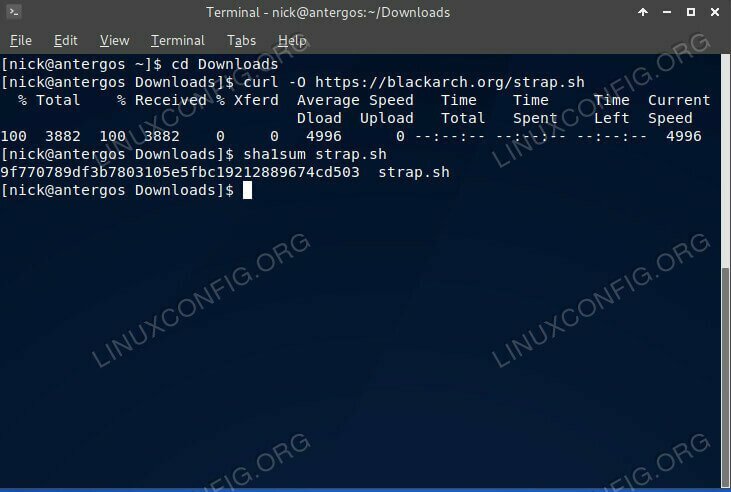 Verify the BlackArch Install Script. Since this is a security focused guide, and you are executing a script written by someone else, it’s a wise move to check the SHA1 sum of the file. Go ahead and do that before going further. It should match 9f770789df3b7803105e5fbc19212889674cd503. As long as it does, you can continue. You’re ready to make your script executable and run it to set up BlackArch. First, use chmod to make it executable. Run the BlackArch Install Script. You will need sudo set up on your system, so make sure to do that first. The script will get to work, adding the BlackArch repo and importing the necessary keys. It’ll give you a success message when it’s finished. With BlackArch successfully installed, you can start installing packages. Pacman doesn’t really distinguish between repositories when you install, so you’ll need to search through BlackArch specifically. Use the following command to list out everything available from BlackArch. Sifting through everything might be a bit too tedious, so you can modify that to search for specific tools. Now, you’ll see all the packages with “meta” in the name. Say, you were looking for Metasploit. Go ahead and install it normally with Pacman. That’s really it. Since, BlackArch is just an Arch repository, you don’t need to do anything special. 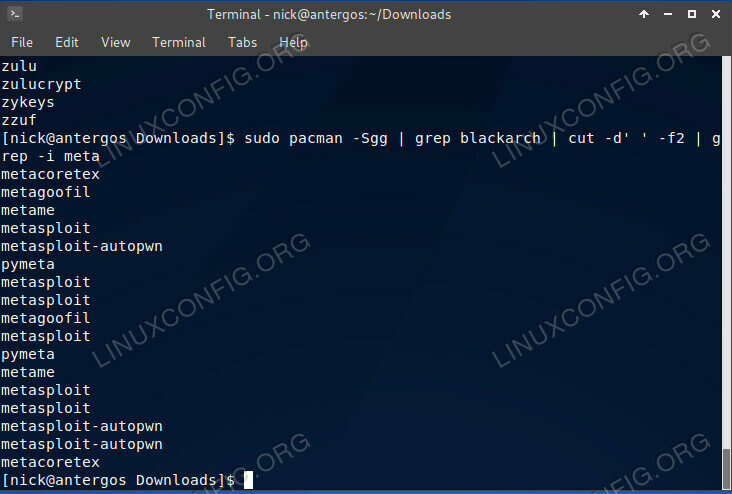 BlackArch also has package categories that you can install as a group to get an entire set of tools in a single command. Just like with single packages, you can also list out the BlackArch categories. List the BlackArch Package Categories. If you want to install a whole category, you can do it just as easily as a package by specifying the name to Pacman. You can access any of the packages and categories available through BlackArch. You’ll also continue to receive updates through the repository as long as you have it enabled on your Arch system. In case you didn’t notice from the images, the BlackArch repository will also work on most Arch based distributions, like Antergos.